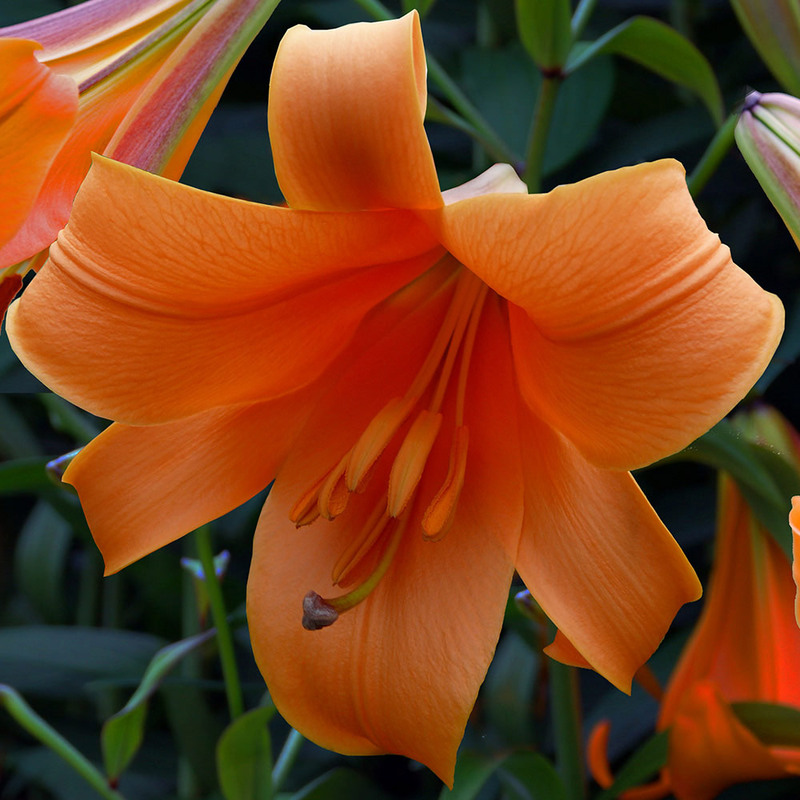 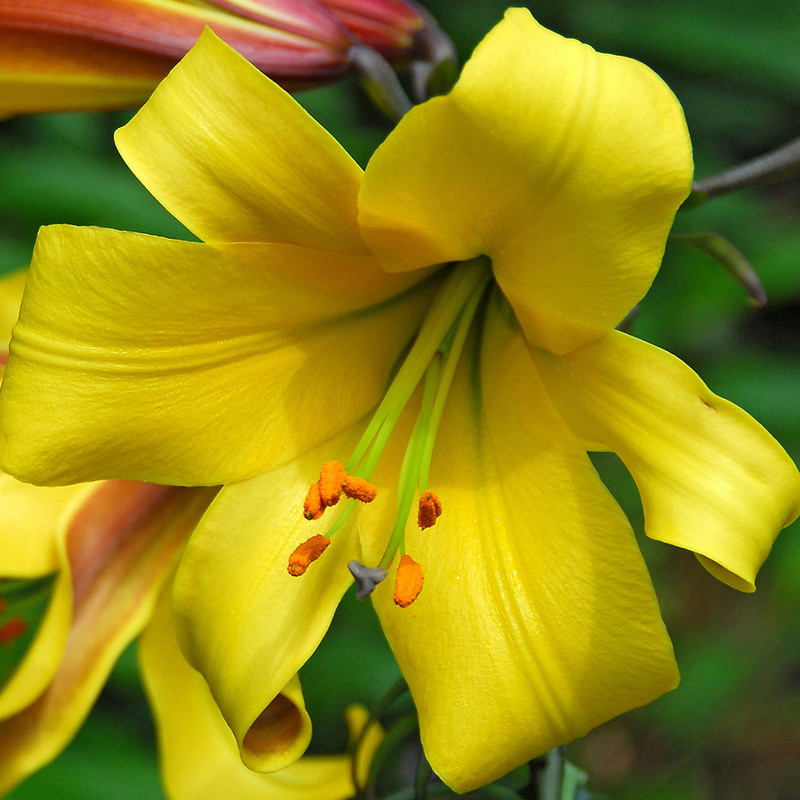 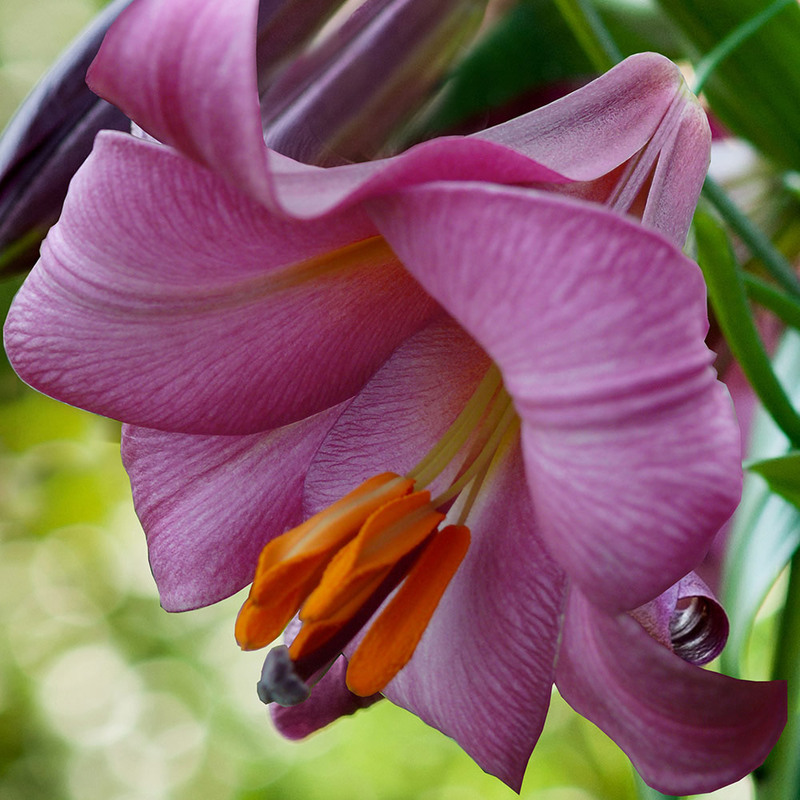 A colourful collection of outstanding trumpet lilies, producing enormous scented trumpets in profusion throughout July. 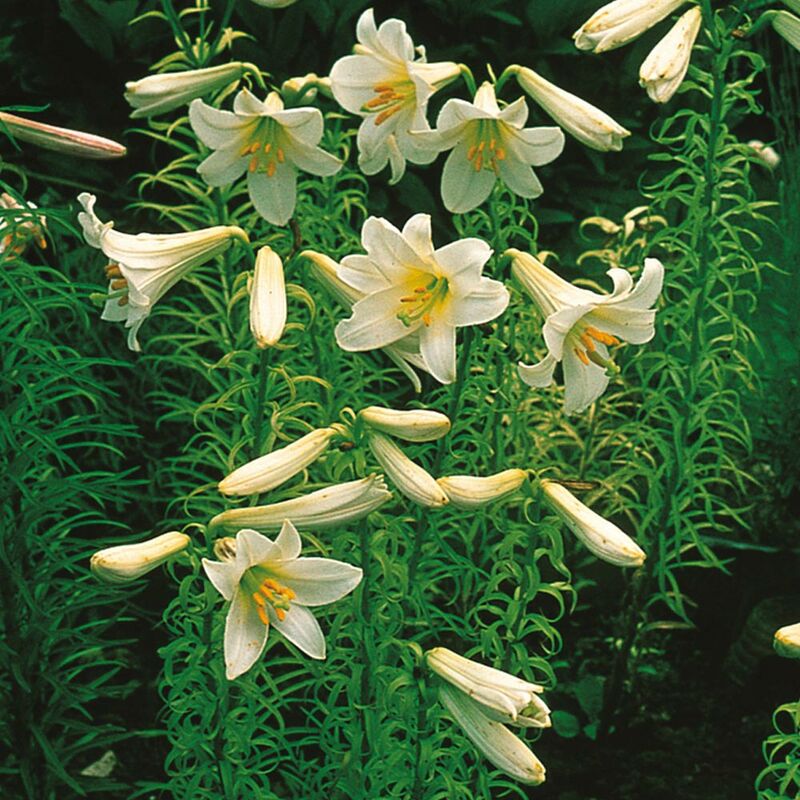 A well established plant will produce as many as fifteen large trumpet shaped flowers, resting on 1.2 ? 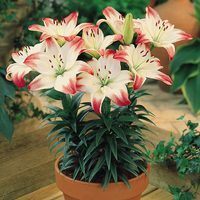 1.5m glossy green stems. 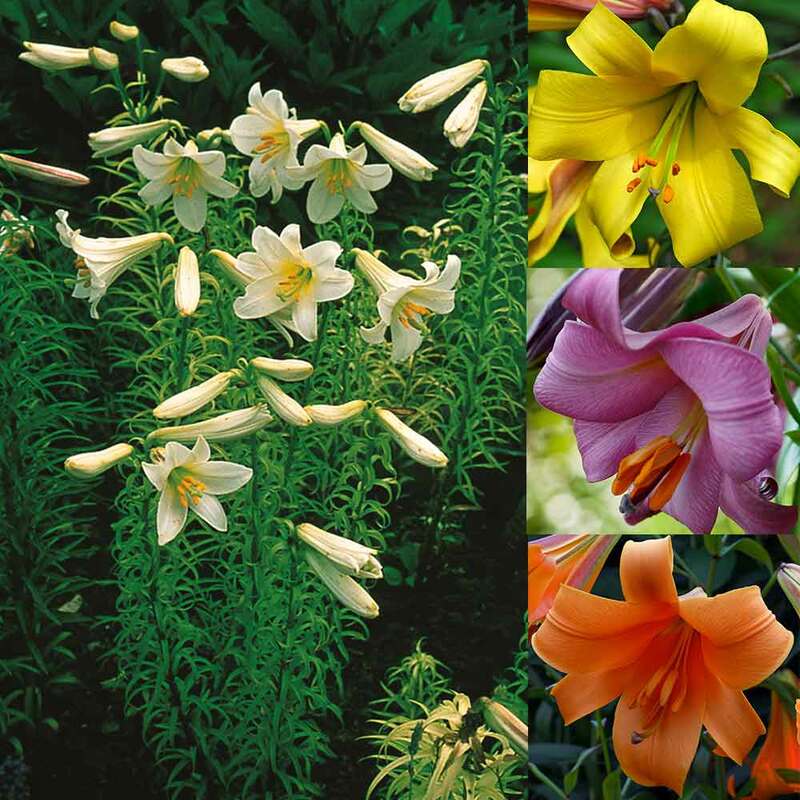 All four hold the prestigious Award of Garden Merit. These sweetly scented plants will flower throughout July and August. 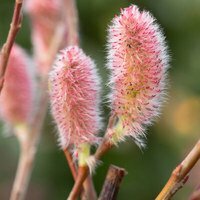 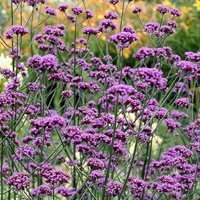 They are easy to grow and prefer a well-drained soil, ideally in a sheltered spot in full sunlight. Three each of Regale (white), Golden Splendour (yellow), Pink Perfection (purple-pink) and African Queen (orange). 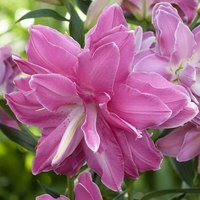 We supply large 18-20cm circumference bulbs for a spectacular display.